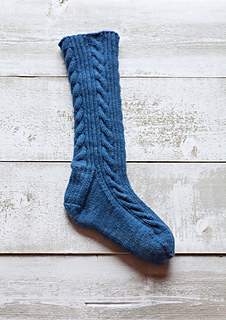 Indoors, outdoors, anywhere you need toasty toes; these socks are just the ticket. 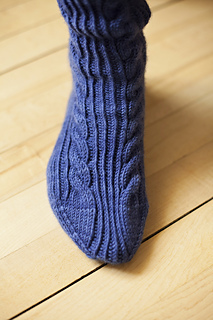 Knit in Plucky Snug Worsted, with lots of detail, your feet will thank you. 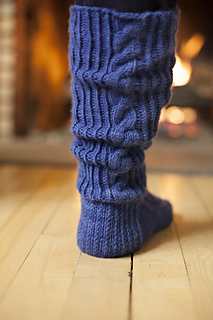 These socks look great peeking out of a tall boot, or slouched down around your ankle in something shorter. 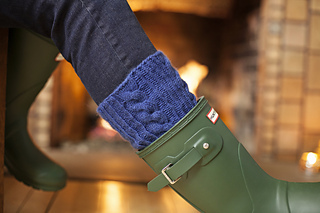 Sitting in front of a fire in your stocking feet is pure heaven! US 7 (4.5 mm) dpns for leg, and either US 4 (3.5 mm) dpns for S/M foot, or US 5 (3.75 mm) dpns for M/L foot, or size necessary to obtain correct gauge.